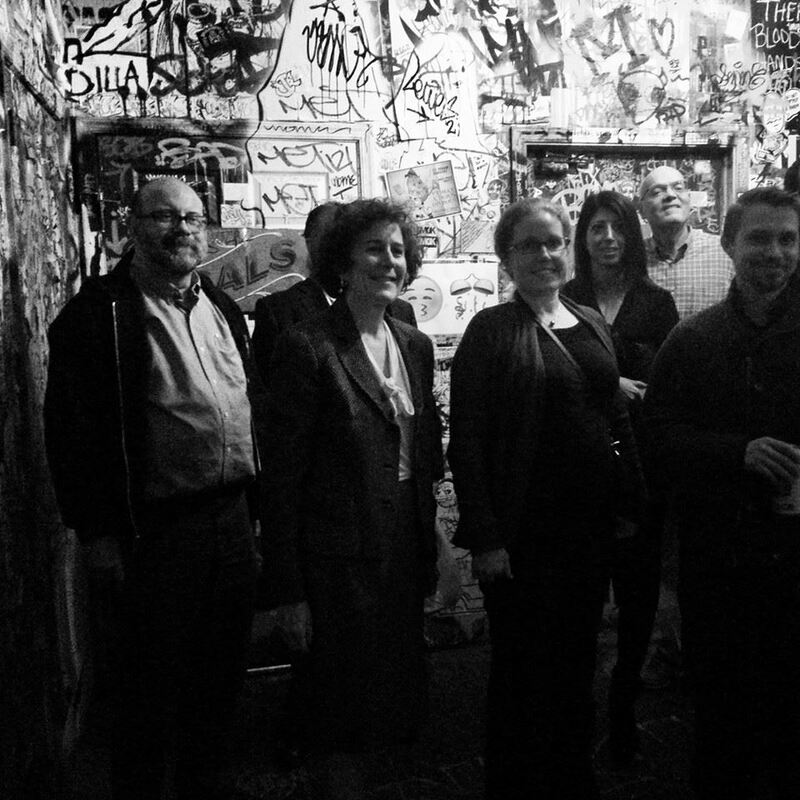 Mayoral candidate Terry Gillen met with a group of left-of-center Democrats Wednesday night within the graffiti-scrawled walls of South Street’s Tattooed Mom for a frank conversation on why they should lend their support to her campaign. Last night’s event, a Q&A meet-and-greet hosted by Philly for Change, brought out her pragmatic colors and executive-style leadership qualities gained during her tenures in the Rendell and Nutter administrations. Her answers to questions regarding top-tier issues including the decimation of the public school system, the School Reform Commission’s recent move to cancel their contract with the Philadelphia Federation of Teachers, and City Council’s refusal to sell Philadelphia Gas Works, also suggested, however, that one of the biggest hurdles her campaign faces will be setting herself apart from a largely unpopular Mayor Nutter. One attendee, with his District Council 33 jacket slung over the back of a chair, pointedly asked her whether or not she could “guarantee” fair treatment of municipal union members, alluding to Nutter’s oft-reported contentious relationship with groups such as DC 33. She answered affirmatively, but added that she believed her former boss did deal “fairly” with municipal workers. That answer apparently was all the union member needed to hear. He promptly stood up and, with a gruff “excuse me”, ducked out of the meeting. When pressed to explain this statement, she said that charter schools, if run properly, provide an excellent education for children and that they “should be compensated fairly”, but that the current funding formula – which prioritizes charters over public schools – needs serious reform. And about that SRC contract cancellation? As for the row surrounding the sale – or lack thereof – of PGW, she felt that Nutter could have been more aggressive in pushing City Council to make a move on the matter.